Home » Accessories » Need extra storage? Can’t use a microSD card? Ever thought about wireless storage OTG? Need extra storage? Can’t use a microSD card? Ever thought about wireless storage OTG? Next item of interest is wireless storage on the go. Might you be wondering whaaaa? But I’ll be going over an alternative that I’m using. It would seem that the majority of people are using storage like it’s going out of style and often enough many don’t trust the cloud as their storage of choice. I’ll be introducing something that’s been on the market for quite a while, but many of you are probably unaware that it exist and it’s fairly cheap. Ever thought of using a portable wireless storage device? As big as a USB flash drive? 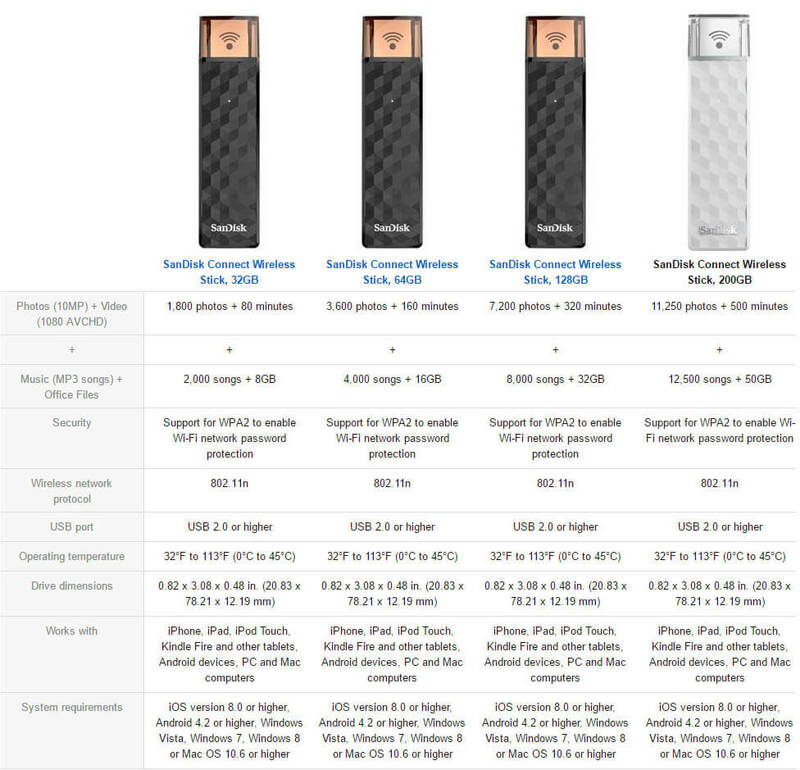 SanDisk Connect Wireless Stick available in 32, 64, 128 and even in a 250GB model. Of course, the price differs from one to another, but the idea is to have all the needed space while on the go. You can use this stick in 3 ways. As a USB flash drive, as a USB flash drive connected to an OTG cable or as a wireless storage device. I’ll let you guess which method I’m going to rave about. The wireless portion of the flash stick is what I’m interested in. Wireless storage space on the go, accessible anytime you need it. It goes beyond just the simple use of your computer, smartphone or tablet, it’s a versatile utility. All the prices are noted in CAD and available on the Amazon Canada store. Personally, I would go with the middle ground of the 4 options with the 128GB version. The price point is decent and for the convenience it provides. Previous CHOETECH is coming forth with a pack of 2 USB-A to USB-C cable on the cheap! Next Getting jacked by Jackery TITAN S will have you pump for more juice!